Leisurely afternoon time, during the setting sun, the space evolution is subtly seen under the sunlight; let the time stop here. Stepping into the entrance, hexagonal floor tiles of the mosaic are lively, and the hairline stainless wall-paneling attracts attention. 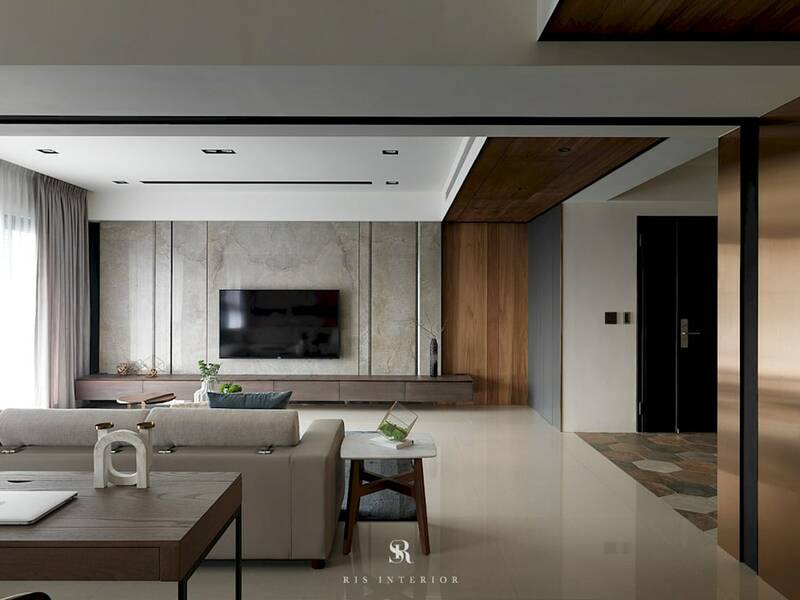 Adopting the warmth of mild wood color scheme as a flow, the marble wall in living room is divided into unequal proportion yet neatly aligned, propelling progressive combination of material textures. When the sunlight goes through curtain sheer, the open-conceptual area encompasses diverse functions. The natural and the sensual, the marble and the wood are interlaced, faintly revealing originality and simplicity.